Paul Shapera for The New Albion Trilogy. The whole trilogy is pure genius in concept and execution. An Atompunk Opera, the New Albion Guide to Analogue Consciousness and the bonus The Room Beneath New Albion came out in 2014. I’m nominating Shapera under Best Solo Musician, however, from the strength and vision of the entire project. Each opera is distinct in musical style, but follows the progression of the fantasy city of New Albion and its denizens to create one of the strongest storytelling pieces I’ve ever listened to in speculative music. I only wish he got more recognition for his work! Waistcoats & Weaponry by Gail Carriger Her trademark droll wit is not lacking in any of her books, including this prequel series to the Parasol Protectorate series. Dragonfly Warrior by Jay Noel His work caught my eye early last year when he reached out about his take of Asian steampunk. It’s a fun ride, and I look forward to picking up the rest of his trilogy. Ramirez has a ton of heart and it really shows in his storytelling about a pair of siblings who go on a steampunk space adventure in search of their father. (Full disclosure: I wrote the introduction for this book). This projects stemmed from a conversation in early 2013 about how steampunk would function in different cultures across the globe and in 2014, Hans and Alliteration Ink launched their Kickstarter to get this project running. Featuring several well-known and up-and-coming names in SF/F, Steampunk World also got great support from io9 and BoingBoing. I was pretty impressed the the selection on the list and the range of geographic places they cover. The follow-up to The Steampunk Bible, VanderMeer and Boskovich explore the worlds of creativity and making. It reads one-part inspirational guidebook, two-parts DIY lovefest for the steampunk set. Clockwork Watch Currently ongoing transmedia project, but I wanted to highlight the compact and beautifully-drawn graphic novels. (Full disclosure: Until this year, Kevin Steil and I worked together for the Tor.com steampunk monthly event round-up). 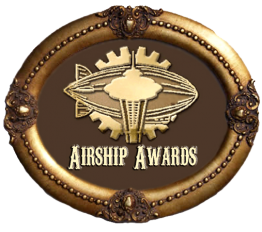 I rarely have time to follow many blogs consistently anymore, but the Airship Ambassador is one of them, and I have endless admiration for his stalwart dedication over the years. Also tied with that is P. Djeli Clark’s The Musings of a Disgruntled Haradrim . . . (Full disclosure: I first found his blog years ago and had him as a contributor for Beyond Victoriana). His blog is speculative fiction in general as well as steampunk, but his writing is always consistently smart, articulate and on-point. The Legend of Korra, Book 4 Despite the flaws I have with its pacing early in the series, Book 4 really pulled all the disparate threads of its previous seasons and gave a satisfying and television-moment changing of an ending. Bravo. Bruce & Melanie Rosenbaum of ModVic While not “typically” defined as political, ModVic’s charity work in disability communities has truly been an inspiration. Margaret “Magpie” Killjoy, one of the first radical steampunks on the scene almost ten years ago at this point and founder of Steampunk Magazine. What more can I say? The Airship Ashanti They are a relatively new group, but seeing them give me hope to see other PoC-dominant groups arrive on the scene. Plus, they have done a ton of local work for outreach in their community to get more fans of color involved. Balogun Ojetade & The Chronicles of Harriet A long time friend of the bog, I have seen Balogun grow by leaps and bounds as a writer and general creator. Jaymee Goh & Silver Goggles. She continues to be awesome, plus, I should also add that she is the co-editor of the upcoming Southeast Asian steampunk anthology The SEA is Ours and is currently running a month-long round table featuring the international list of authors involved! Suna Dasi of Steampunk India Suna’s online presence is always a delight – full of grace, poise, and welcoming to steampunks from all walks of life while always enthusiastically pursuing Indian steampunk. 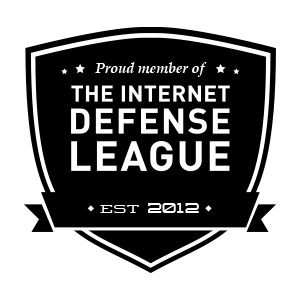 The League of Steam, Season 3 or Steampunk World Criteria for both is that they got an overwhelmingly positive response, became fully-funded, and produced their final products that year or by this date & time (which is something that not all crowd-sourced funded projects actually achieve). What do you folks think? I’m also open to hearing your thoughts about these nominations and ones for categories I didn’t list here.